This bracket is fairly balanced with the top four ranked wrestlers all in separate quarterfinals. The favorite to come out of the top quarter is #4 ranked Adam Allard of West Sioux. It won’t be a cakewalk for him though as should have the winner of #7 Caiden Jones (Lake Mills) vs. #9 Daniel Meeker (Wapello) in the quarters. The West Sioux freshman has yet to lose to any wrestlers from the state of Iowa in his young career. Whoever comes out of the top quarter will likely have Daniel Kimball of Don Bosco in the semis. Kimball’s toughest test in the first two rounds should be Bryce Kafton of Maple Valley. Kafton was up at 113 for the first half of the season, but he has been on a tear since dropping down to 106. Kimball and Allard don’t have many common opponents yet on the season being from different sides of the state so it is tough to get a read on how this one will go. The freshman is the real deal, but Kimball is battle tested this year. Cobe Siebrecht of Lisbon is the favorite to reach the semifinals although he does have a ranked opponent in the opening round in #10 Bryce Trees of North Butler. Siebrecht will likely face the once ranked Jose Flores of Sibley-Ocheyedan in the quarters. Sibley could get a big boost in the team race if Flores can pick up the upset, but I think Siebrecht will be too much for him. Then that brings us to the toughest quarter of the entire bracket. Here we have #1 Jaymus Wilson (Alburnett), #5 Jake Nieman (OA-BCIG), and #8 Cole Cassady (Martensdale St. Mary’s). You can throw rankings out the window when it comes to the state tournament and that very well may be the case here. Cassady might be the lowest ranked wrestler of the three but that’s only because he hasn’t had an opportunity to get a signature win. He will have plenty of opportunities to do that this weekend. I’ll take Cassady with the upsets to reach the semis where he will have Siebrecht. In the top quadrant of this bracket you have three quality wrestlers. There is Gannon Cook from East Buchanan who was once ranked, you have stud freshman and #7 ranked Bryce Hall from Southeast Warren, and you have Kurtis Krager from OA-BCIG who took home a 6th place medal last year. Hall and Cook meet up in the first round so that should be a good battle, from there the winner will have Krager. Look for Krager to advance to the semis here. Then that brings us to to toughest quarterfinal in this bracket where you have three ranked wrestlers and another who was once ranked. Leading the way is #3 ranked Devon Meeker of Wapello. The thing with Meeker is he may have already beaten the second best wrestler in this weight class just to qualify for state. We will find out how good #5 ranked Logan James of Underwood is as he faces Meeker first round. 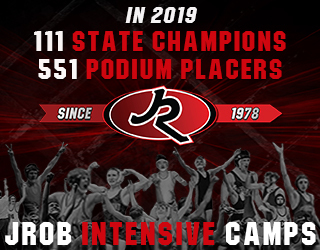 James has some impressive wins and his only losses in state are pretty excusable ones to Brody Teske and Drew Bennett. That should be a great first round match. Then you have #6 ranked Jacob Ragsdale of Dike-New Hartford. Ragsdale is still a bit of an unknown since he was out for the first part of the year, but I wouldn’t be shocked at all if he were to make the finals. The third quarterfinal is probably the most wide open of the whole bracket. More than likely the semifinalist from this spot in the bracket will come from the first round match up of Uvaldo Camarillo of Postville and #9 Nathan Phillips of I-35. Camarillo is undefeated on the year but Phillips will be his toughest competition yet. Now we go to the bottom of the bracket where #1 Cael Happel of Lisbon sits. Happel has proved all year long that he is the front runner for this weight class. There are a few studs he hasn’t matched up with yet here, but he already has dominant wins over the #2 and #3 ranked wrestlers in 1A. At 120 we start with a quarter that doesn’t feature any ranked wrestlers, but that doesn’t mean there aren’t any quality kids in it though. We have an interesting first round match with Ryne Mohrfeld of Lisbon against Remington Meeker of Logan-Magnolia. The winner of this will likely have the once ranked Koby Hanson of Manson. If Lisbon could sneak another semifinalist out in Mohrfeld, they will be tough to catch in the team race. Now we move on to the toughest quarter quite possibly in all of 1A. We have #1 Gable Fox of Don Bosco vs. #5 Tatem Bluml of Riverside and #2 Brady Kyner of Southeast Warren vs. #7 Jacob McBride of Newman. Three studs are going to find themselves on the backside within the first two rounds here. Look for a great battle between Fox and Kyner in the quarters here though. You would think #3 Brock Henderson of North Linn would have a cakewalk to the semis after the #1, 2, 5, and 7 ranked wrestlers got put in the quarter above him, but that’s not the case. Instead he will have to get by either #4 Connor Lange of Missouri Valley or #9 Ben Emrich of Tipton. Look for another great quarterfinal here with Henderson and Lange. #6 Will Portis of Rockford is the favorite on paper to make the semis, but he will have to make it through one of two tough opponents in the quarters. Blake Thomsen of Underwood and Dylan Loomer of Jesup could be a sneaky good match up first round. Both wrestlers had to get through quality opponents just to qualify for state. #7 Keaton Heatland of South Hamilton is the lone ranked wrestler in the top quarter of this bracket. He was also one match away from placing last year. We now move on to another quarterfinal that has four ranked wrestlers. 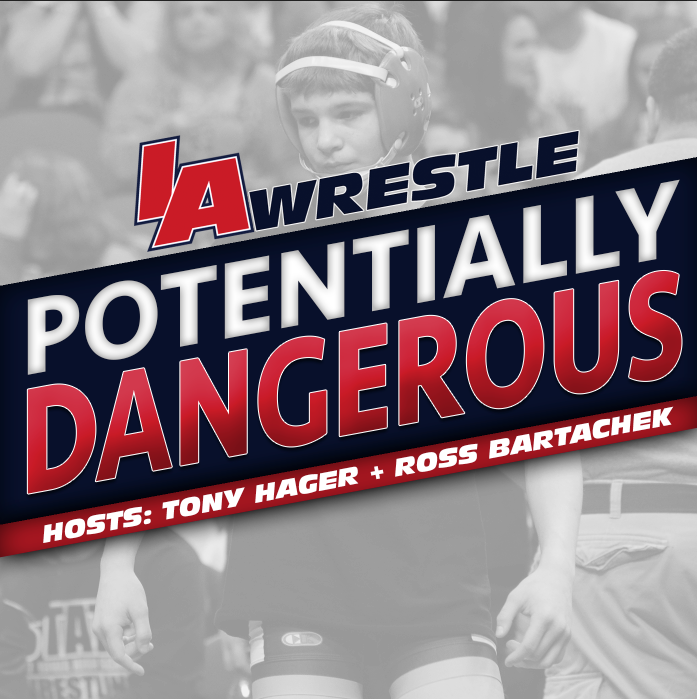 #6 Logan Lutgen of Don Bosco will have #10 Lucas Hoffman of Graettinger-Terril first round and #4 Ben Moyer of Alburnett will have #1 Alex Thomsen of Underwood. Even two matches against ranked opponents the first two rounds isn’t enough to stop Alex Thomsen from rolling to the semis though. #3 Kody Berg of Westwood finds himself in a nice spot in this bracket being the only ranked wrestler in the third quarterfinal. The bottom quarter has two ranked wrestlers that will meet up second round. 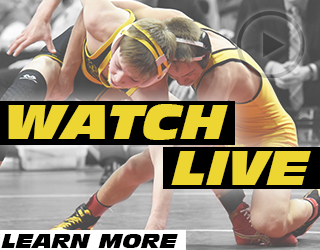 It will likely we #2 Donny Schmit of Wapsie Valley against #5 Brady Henderson of North Linn. These two met earlier in the year where Schmit won by pinfall, but I’d expect a close match this time around. #7 Blake Bauer of Southeast Warren and #10 Mason Wickman of Alburnett headline the top quarter at 132. Alburnett will need big points out of Wickman to come home with a trophy and that’s not out of the question at this weight and with that draw. Bauer is still the favorite to reach the semis but he will have a tough test first round with Michael Baker of Underwood. #3 Kolton Roth of Graettinger-Terril will be the favorite to make the semis in the second quarterfinal as he already picked up a fall over his toughest competition, Wettengel. Four quality wrestlers here again, but #2 Josh Tibbits of Martensdale and #5 Chance Throndson of Riceville might be too much for their first round opponents. We could have a fun quarterfinal match up between those two. This bottom quarterfinal at 132 might be the most interesting to me. You have #1 Cooper Siebrecht of Lisbon and #4 Garret Thompson of Logan-Magnolia as well as two stud underclassmen in Spencer Griffin of Emmetsburg and Ben Smith of Iowa Valley. I look for the two ranked wrestlers to take care of business though first round. Then that will set up a match between #1 and #4. Siebrecht is the favorite to win this weight class and that wouldn’t shock me at all to see that happen, but I’m taking Thompson in this match as one of the more surprising upsets of the tournament. Thompson has been one of the few people all year to keep it to a decision with Alex Thomsen and he also has some eye opening victories. The top quarter at 138 consists of four battle tested wrestlers. You have #3 Jacob Hansen of West Fork who has gotten it done at state in years past. There is #9 Wade Mitchell of Woodbury Central who has some big time wins this year. Caleb Gunderson of Sioux Central had to knockoff #2 Tanner Lundgren of Emmetsburg just to make it to state. You also have Guy Sudmann of Underwood who has wrestled a lot of top talent this year. The second quarter has two ranked and one previously ranked wrestler. Leading the way is #1 Kaleb Krall of Wapsie Valley. He will need to get by returning finalist and #5 ranked Chase McLaughlin of Lisbon though. This will be another key match in Lisbon’s team title hopes. Don’t sleep on Tanner Hoyer of Alburnett either. The two favorites to reach the second round in the third quarter will be #8 ranked Duke Kyle of Missouri Valley and Kory Van Oort of West Sioux. Kyle’s points will play a huge part in Missouri Valley’s team trophy hopes. Van Oort knocked of the #2 ranked wrestler here just to qualify. Another sneaky good quarter is the bottom one at 138. Here you have the #4, #6, and #7 ranked wrestlers in Nicholas Martin of Moravia, Kyle Decker of East Buchanan and Austin Leopard of Louisa-Muscatine. 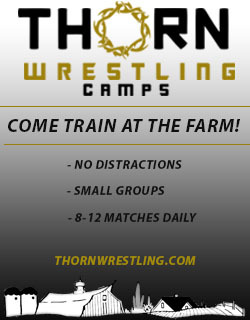 In the top quarter you can find the #1 ranked Trent Johnson of Dike-New Hartford as well as #5 Joel Becerra of AHSTW and #8 Reno Chiri of New London. Johnson has been one of the better 1A wrestlers to not have a title to his name yet, but I don’t see that lasting much longer. Big important matches for Missouri Valley early and often as the once ranked Skeeter Bostwick finds himself with a first round match against #7 Braydon Nunemaker of East Buchanan. The winner here is a favorite to reach the semis. #3 Ranked Trey Brisker of Wilton is a favorite to reach the semis in this portion of the bracket but don’t sleep on his first round opponent #10 Kaleb Boleyn of Waterloo Columbus. This winner will likely have #9 Logan Scheuermann of Guthrie Center. Look for the Boleyn/Brisker winner to reach the semis. The bottom of this bracket has two ranked wrestlers #2 Dylan Schuck of Sibley-Ocheyedan and #4 Austin Eilers of Lawton-Bronson. Sibley will need a strong showing from Schuck in the team race and look for him to reach the finals here. Three ranked wrestlers and another who has an argument to be ranked on top of the bracket here. #8 Kaden Kilburg of Lisbon will have a tough first round opponent in Brandon Trees of North Butler. #5 Skylar Solko only has one loss on the year and it is to one of the top ranked wrestlers at 160, so he will be the favorite to reach the semis even though he has #10 Luke Stortenbecker of East Mills first round. #1 Zachary Axmear has taken on anybody and everybody at any weight so far this year. He even bumped up 2 weight classes at one point to take on tough competition. Standing in his way of a semifinal berth is #3 Drew Anderson of Westwood. The #2 ranked Brennan Swafford of Mediapolis and #4 ranked Tyler Van Houten of Panorama headline the third quarterfinal of 152. Swafford has yet to lose to any 1A competition this year and will look to keep that up. In the bottom quarter #9 Jeremy Schmitz of Don Bosco finds himself up against a tough unranked opponent in Nathan Johaningmeier of MFL in the first round. #6 Sawyer Phillips of Pleasantville and #7 Brady Wilson of Logan-Magnolia will lock up in one of the top first round matches in 1A. I wouldn’t be shocked to see anyone of these four in the semis. The half of 160 is easily the toughest. All eight guys are either ranked or were at one time this year. Yet another weight and yet another big match in the team race for Missouri Valley and Sibley. #2 Nathan Haynes of Missouri Valley will take on #10 Garrett Sayler of Sibley right away on Thursday. The loser doesn’t have much time to regroup as #7 Griffen McBride of Pleasantville takes on Tucker Franklin of Alburnett in the very next match. Three of these guys will find themselves on the backside early. The #3, #5, and #8 ranked wrestlers are all in the second quarter at 160. Jacob Krakow of Iowa Valley is the favorite on paper to advance to the semis but it could very easily be Gabe Pauley of AHSTW or even Rogan Pforts of Wapello. #1 Karsen Seehase Sumner-Fredericksburg will have his hands full second round against #4 John Henrich of Akron-Westfield. Henrich was a 3rd place finisher in South Dakota last year and has yet to lose since moving to Iowa. Undefeated #7 ranked Dalton Nelson of North Butler headlines the bottom of the bracket. Look for him to be tested in the quarters against Ryan Schott of Regina though. I wouldn’t be shocked to see anyone of the top four wrestlers win this weight class. #5,6, and 7 are in the top quarter of 170. This really if a toss up who reaches the semis, but two teams with hopes of taking a trophy are involved with Trent Kruger of Sibley and Bryce Werderman of Lisbon. Taylan Entriken of Hudson is the #2 ranked wrestler at this weight and has only #10 Cal Daughton of Mount Ayr standing in his way of his second straight trip to the semifinals. #1 Tanner Sloan is the lone ranked wrestler in his quarter of the bracket, but he will have to get through one of two underclassmen who could turn some heads this weekend in Nick Haynes of Missouri Valley and Nick Milder of Regina. Two ranked wrestlers will meet first round round here in #3 TJ Dierking of Southeast Warren and #4 Jarel Arbegast of West Fork. This is the highest ranked match up in all of the class 1A first round. The #1 ranked wrestler at 182 Logan Schumacher of Martensdale finds himself on the top line of the bracket where he will face off against a tough unranked opponent in Hunter Connor of Louisa-Muscatine. Look for Schumacher to move on and face #8 Zach Ryg of Central Springs. Sam Gregory of Treynor comes into the state tournament with a spotless record. He will put that record to the test immediately with his toughest competition yet in #10 Brodie Garnier of Sumner-Fredericksburg. The winner of that match will have #4 Garet Sims of Iowa Valley in the quarters. Four ranked wrestlers make up the third portion of this bracket. they are #6 Bryce Oveson of Wilton, #9 Dante Arzani of I-35, #2 Daniel Bishop of Hinton, and #7 Gabe Irons of Lake Mills. Winning first round will be extra important here because you will find yourself in a battle immediately on the backside should you lose. #3 Alec McDowell and #5 Joey Schwenn are the favorites to to reach the quarters on the bottom. #6 Mason Lyons of Bellevue was rewarded by winning his district with a match up against #3 Hunter Hagen of West Hancock. Winner of that gets another ranked opponent in #9 Quinton Casteel of Moravia. The second quarter of 195 should feature a rematch from earlier this year in the quarters where #4 Hunter DeJong of Sibley took out #5 Walker Even of Don Bosco 6-5 in a great match. #1 Slade Sifuentes is a strong favorite to repeat as state champ, but it wont be easy for him. First round he will have a solid unranked wrestler in Manning Kuboushek followed by either #2 ranked Kaleb Reeves of Sigourney or once ranked Dalton Holmes of Panorama. #7 Wes Geisler of Hudson takes on #10 Tyler Anderson of OA-BCIG in the first round and the winner will likely have once ranked Nick Gaes of Alta in the quarters. Three ranked wrestlers and a solid fourth find themselves grouped together on the top side of the bracket here. #1 Drake Johnsen of Logan-Magnolia lost a tough overtime match at districts to come in on the second line where he will have a decent opponent in Cade Suhr of Guthrie Center first round. The winner will have one of two ranked wrestlers. Either #5 Caleb Meinders of AGWSR or #9 Erick Olvera of Sibley. Noah Boender of Sigourney is the lone ranked wrestler in his quarter coming in ranked #8, but I wouldn’t be surprised to see any of the other three advance to the semis. #2 Tom Rief of Missouri Valley will have his hands full second round where he will likely have the winner of #3 Colton Francis of West Hancock or #6 Skyler Bonestroo of Western Christian. This the toughest quarter in the bracket. #4 Chaz Clark of Pleasantville is the favorite to reach the semis in his quarter, but he will have to get through #10 Korby Keehner of MFL to do so. Right now it is set up to be a Johnsen and Rief collision course to the finals. If so it would be the sixth meeting between the two this year with Rief winning the first, fourth, and fifthmeetings. Johnsen winning the second and third. Brian Sadler of Jesup is the favorite to make the semis in the top part of the bracket with his #3 ranking. He will more than likely have to get through two ranked wrestlers though in #8 Cody Crawford of WACO and #9 Cameron Beminio of Belmond-Klemme in that order. #2 ranked Kyler Schott of North Linn has only lost to #1 Jared Brinkman of Regina on the season. If Schott keeps winning, he wont face Brinkman until the finals. Schott should face #7 Montana Jackson of Akron-Westfield in the quarters. Brinkman will be a favorite to reach the semis as he is the returning state champ. He will have one of two ranked wrestlers in the quarters though in #6 Coy Maher of Riverside or #10 Mitchell Smith of St. Ansgar. The bottom portion of the bracket has only two ranked wrestlers but they meet up first round #5 Matt Naig of Sibley will look to knock off #4 Will Anthony of Pleasantville. February 14, 2017 in 1A, 2017 State Tournament Coverage.